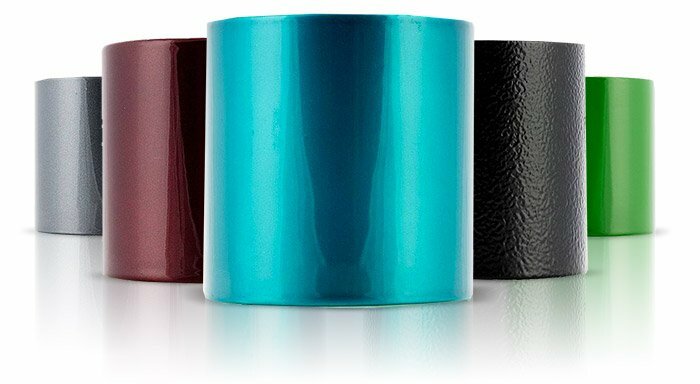 See All Colors » Powder coating has quickly become one of the most popular alternatives to traditional paint coatings. This type of surface finishing uses a dry powder applied electrostatically as a coating. The part is then cured in an oven for a period of time at temperatures ranging from 380-425*F to form a solid, durable finish. Powder coating not only looks great, but it also lasts longer while providing protection from harmful corrosion. To further improve corrosion resistance for components exposed to the weather we can first apply a Zinc-Rich Base Coat primer before the final color, which offers nearly ten times the corrosion resistance of just a standard coat of powder. Wehrli Custom Powder Coating is housed under the same roof as Wehrli Custom Fabrication. Including two state of the art spray booths for both powder and ceramic coating applications and two curing ovens totaling over 250 sq ft we are able to provide the quickest turnaround times in the industry on custom ordered colors. Exceptional quality control, preparation, and packaging is our standard operation and what we have become known for. Have other parts on your truck that you want coated to match your new WCFab product? No problem, call us and we can handle that too. With over 100 different colors in stock at our facility, you have many options to choose from. If you don't see one you like, www.prismaticpowder.com has over 5000 colors to choose from! (Non-stocked colors requested in will incur an additional fee) Below is a list of what we have in stock and we are constantly adding to it! Note: The WCFab emblem on our product comes standard in raw stainless finish, or aluminum depending on the part, unless noted by the color below. Requests for custom color tags are accepted at checkout but will incur an additional $50.00 fee. Copyright © 2019 Wehrli Custom Fabrication. All Rights Reserved.